While Canada’s weather may leave a lot to be desired, this is a country that never disappoints when it comes to cannabis news. It has been a big week in both policy and business. The clock towards legalization continues to tick closer to the October deadline and to keep you in the know we’ve brought together five of the most important cannabis news stories of the week. There’s been the largest legal weed deal in history, Ontario announces a complete reversal of the previous sales model, and more. This is The ‘Bis weekly news roundup for August 12 to 17, 2018. After enough “will-they, won’t they” speculation to rival a celebrity marriage, the Ontario Government announced on Monday, that the province would be switching to a system of privatized cannabis sales. Minister of Finance Vic Fedeli and Attorney General Caroline Mulroney shared the details of the plan. Starting on October 17, consumers 19 and older will be able to purchase cannabis via an online retail platform provided by the Ontario Cannabis Store. The Ford government plans to have a system of regulation in place that will allow private stores to open by April of 2019. Canada’s largest cannabis company has announced the biggest deal in the history of the legal cannabis industry. Constellation Brands, the alcoholic beverage company behind such brands as Corona and Svedka Vodka, announced today that they are acquiring 104.5 million shares of Canopy Growth, the country’s largest cannabis producer, for a total of $5 billion CND. This will increase Constellation Brands ownership interest in Canopy Growth to approximately 38%. The shares are being bought at a price of $48.60 each, which is a 51.2% premium to the closing price on August 14, 2018. The announcement caused Canopy’s stock price to shoot up by over 30% this morning. This investment, the largest to date in the cannabis space, will provide a financial means by which Canopy Growth plans to continue to build and acquire assets to expand into the nearly 30 countries pursuing federally permissible medical pot programs. 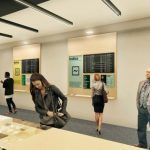 The Quebec Cannabis Society (SQDC) revealed today, August 16, the first images of what their government-run cannabis stores will look like on October 17. 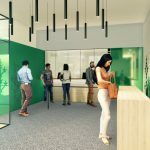 First of all, when they enter the point of sale, SQDC clients will be welcomed into the lobby by a security guard who will only allow access to the shop to people aged 18 or over. From there they will enter the store. Posters, documentation and interaction with each branch’s staff will inform clients about the risks associated with cannabis use, warnings and help resources available when needed. The approximately 150 products that customers will find in SQDC’s stores will be presented behind the counter. With the announcement of Ontario’s new retail model comes the one-time option for municipalities to “opt-out” of having cannabis sold within their borders. Since then, two regions of the Greater Toronto Area have already elected to take this option, according to a report by Daily Hive. 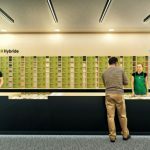 The City of Richmond Hill and Markham have made statements indicating their unwillingness to have brick and mortar cannabis stores open in their communities. A recent report by job website Indeed shows that cannabis-related job searches, while still small, were more than four times higher last month compared to the year before. The numbers released by Indeed say these types of searches increased from six to 26 out of every 10,000 searches. It also found that new help-wanted ads in the cannabis sector have tripled and now make up 25 out of every 10,000 new jobs on the website.